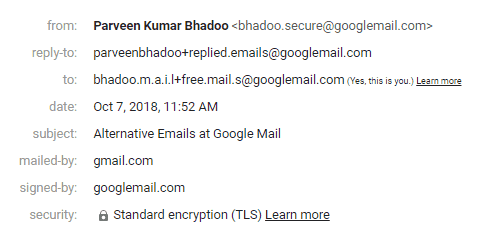 Google provides unlimited emails in one gmail address after a complication occurred with dot including email address and then they clarified that all dot including email accounts are same to their base name with no dots in them. But with it there are lot of other tricks a lot of people still don’t know. There are a lot of limitations on these accounts, but they aren’t from google. Well, you cannot signup with a new gmail account with address richard.live@gmail.com if you or someone has richardlive@gmail.com or vice versa. Any gmail account which has gmail.com at last can be replaced with googlemail.com and emails will arrive on the same address. Also, put dot anywhere before @ in gmail address but should be in between letters or numbers like richard.live@gmail.com works but richardlive. @gmail.com is not valid. You can also put multiple dots on various places in address but know that there cannot be more than one dot at the same place like richard.live@gmail.com is valid but richard..live@gmail.com is not. Another one is Plus Sign within gmail addresses, this one is a little different as dots works in between the username of address but plus works after the username and before the @ sign. To use plus sign see the example below. After the + sign you can add anything as before + the username should be correct. Yes, you can use these all above addresses with your sending email feature by Google. Login to Gmail in Desktop. On right side go to Settings. You can see your default address there. Now Enter desired name and any variation of your address there and save it. You can set new address as default and select any of the address at the time of sending emails. Questions? Comment below, Share this article if you liked it!